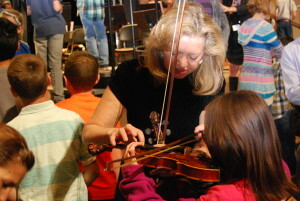 On Wednesday, November 14, 2018, at 10:00 a.m., hundreds of students and teachers will arrive at the Arapahoe Philharmonic’s Children’s Discovery Concert to experience a special performance just for them. This year’s program features two beloved, classic works: Sergei Prokofiev’s Peter and the Wolf and Camille Saint-Saëns’ Carnival of the Animals! 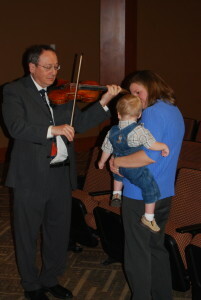 The morning will begin at 9:30 a.m. with orchestral instrument demonstrations. 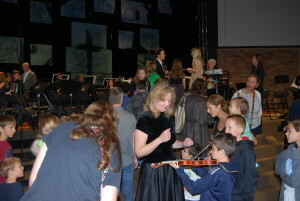 Once students are checked in and seated, they will be greeted by adult orchestra players who will tell the students about their instruments and demonstrate how to play them. 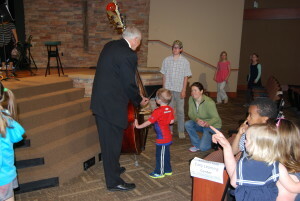 Some AP members may even allow the students to try out the instruments themselves! 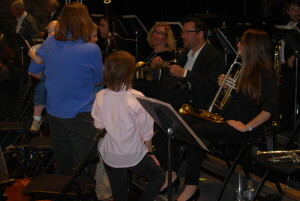 Students will also be able to visit the percussion section and learn how to conduct. 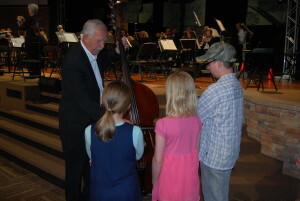 As the concert begins, students will be on the edge of their seats, looking especially at their favorite instrument. They know what to expect in the concert because the Teacher’s Guide has helped teachers prepare them. The Guide is a great tool to use with students before arriving on concert day. 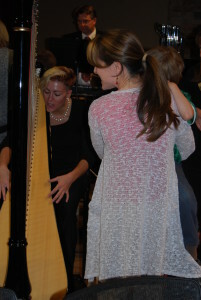 It connects the music with hands-on activities to Language Arts, Social Studies, Art and other subjects. The students will be thoroughly engaged by the narrator who tells the story of Peter and the Wolf and Ogden Nash’s poetry about the animals. 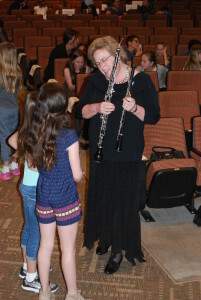 The concert is geared toward students in grades 3 through 5, though the program is sure to be enjoyed by slightly younger and older students as well. 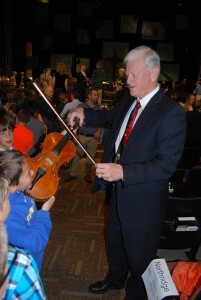 The Arapahoe Philharmonic has a deep commitment to music education, and educating our children and youth is an integral part of our mission. Colorado State Music Standards 3 (Theory of Music) and 4 (Aesthetic Valuation of Music) will be the educational focus of the concert. 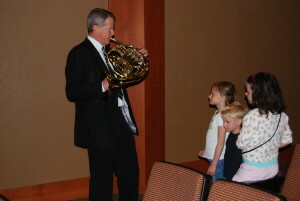 We believe the Arapahoe Philharmonic has the most hands-on children’s concert in the south Denver metro area. Join us for a great morning of education and music! The cost is $5 per student and teacher/adult. 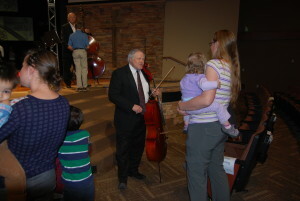 Please contact the Arapahoe Philharmonic office at 303-781-1892 if your school would be in need of a scholarship.